Ferrofluid Preform Display Cell, Ferrofluid: Educational Innovations, Inc.
Not available for international or Air shipments. Demonstrate the incredible properties of this amazing liquid. This Ferrofluid Display Cell is a fantastic way to demonstrate Ferrofluid with students of any age. A ferrofluid is a liquid that becomes strongly magnetized in the presence of a magnetic field. The strong 5.5" plastic display cell is completely sealed and resistant to breakage. Use the cell with any strong magnet to demonstrate the incredible properties of this amazing liquid. Demonstrate lines of force or show how charged particles stream into a star. Educational Innovations created these cells cooperatively with Ferrofluidics Corporation and is your sole source for them. Note: The Ferrofluid in the display cells is not the same as the bulk Ferrofluid. 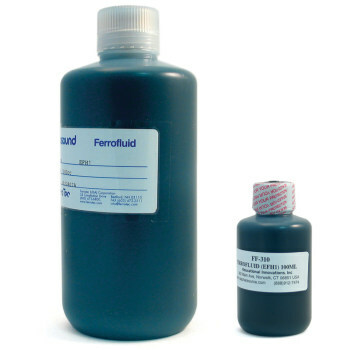 Bulk Ferrofluid cannot be used to make a display cell. The Ferrofluid Preform Display Cell is not available for International Shipping or shipping by Air. It will be removed from any International orders. Shipments by Next Day Air or 2-Day Air will be reassigned to UPS Ground. What a great way to put ferrofluid into the hands of youngsters as well as adults so they can personally visualize the properties. Since it is self-contained in a thick walled plastic tube with the cap taped shut, the worries of coming in contact are almost totally eliminated. The tube comes with ceramic magnets (since they are ceramic they can easily be broken) that can be used to observe what happens when they come close to the tube and when the magnets are moved away - more like a solid when close and more like a liquid when moved farther away. 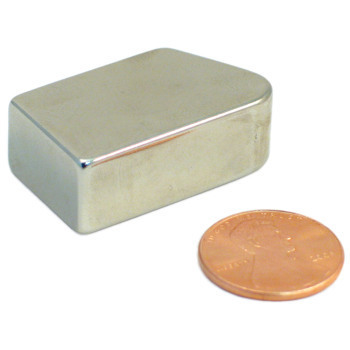 Whether you use the magnets that come with the tube or a neodymium magnet the properties can easily be visualized. The audience truly enjoy this demonstration and its hard to take out of the hands of the youngsters. I recommend that you have several on hand! I have worked with ferrofluids many times (including making them myself - which is a pain). 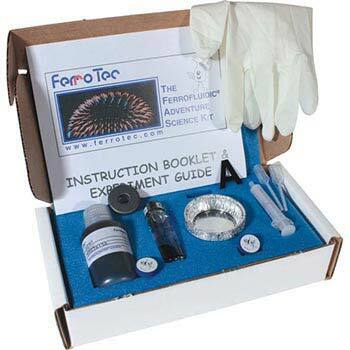 This demo set is really good because the ferrofluid is sealed. The magnet isn't the strongest, I use a different one, but otherwise, happy with product. I have wanted one of these for a while. I even tried to make one. Your version is soo worth the price. I ordered this as a gift for my son for his birthday and it is a great product. Clear liquid unlike others I have seen. He likes to use a stronger magnet for better results!! The shapes are interesting, but even more fascinating is looking at the different when you have opposing magnets, or the splitting of the flow into disks as it approaches such a location. It would be nice to have some smaller magnets included, but most people have some to add to the learning experience with this ferrofluid. This is a very cool product that elicits MANY questions!!! My students love trying to figure it out. Wish I had more than one! Big hit, easy to use and can reuse! Teachers were talking and talking about how they would use this in their classroom when we gave one away at one of our workshops. We wish we had bought more! Ferrofluid has them on the edge of their seats. I love the ferrofluid display cell for discussing the shapes of magnetic field with students. Students can use the Ferrofluid Display Cell to plan and conduct an investigation to compare the effects of different strengths or different directions of pushes and pulls on the motion of an object. Students can use the Ferrofluid Display Cell to investigate and analyze data obtained from testing different materials to determine which materials have properties that are best suited for an intended purpose. Students can use the Ferrofluid Display Cell define a simple design problem that can be solved by applying scientific ideas about magnets. Students can do an activity with the Ferrofluid Display Cell with any strong bar magnet to analyze and interpret data from maps to describe patterns of Earth's features. Students can use the Ferrofluid Display Cell to gather and make sense of information during an investigation. Students can use the Ferrofluid Display Cell to ask questions about data to determine the factors that affect the strength of magnetic forces. Students can use the Ferrofluid Display Cell to conduct an investigation and evaluate the experimental design to provide evidence that fields exist between objects exerting forces on each other even though the objects are not in contact. Students can do an activity with the Ferrofluid Display Cell with a strong Bar Magnet to construct an explanation based on evidence for how geoscience's processes have changed Earth's surface at varying time and spatial scales. The Ferrofluid Display Cell can be used to develop and model how two objects interacting through magnetic fields, illustrates the forces between objects and the changes in energy of the objects due to the interaction. Matter can be described and classified by its observable properties. Using a variety of magnet shapes and the Ferrofluid Display Cell will allow students to observe the various shapes magnetic field can take. 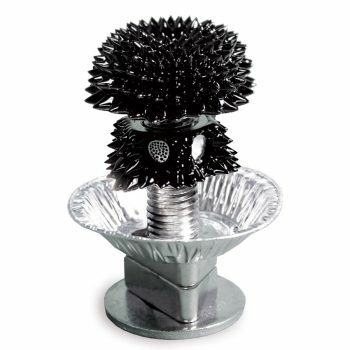 Students can do an activity with the Ferrofluid Display Cell with any strong bar magnet. Place the bar magnet under and parallel to the Ferrofluid Display Cell. Students can see the magnetic fields to analyze and interpret data from maps to describe patterns of Earth's features. The above activity can also model how, over the course of Earth's history, the magnetic field of the poles have swapped location, based on magnetic readings of the Atlantic Ocean floor. Rotate the magnet 180 degrees to model the geologic history of the Earth's magnetic field. 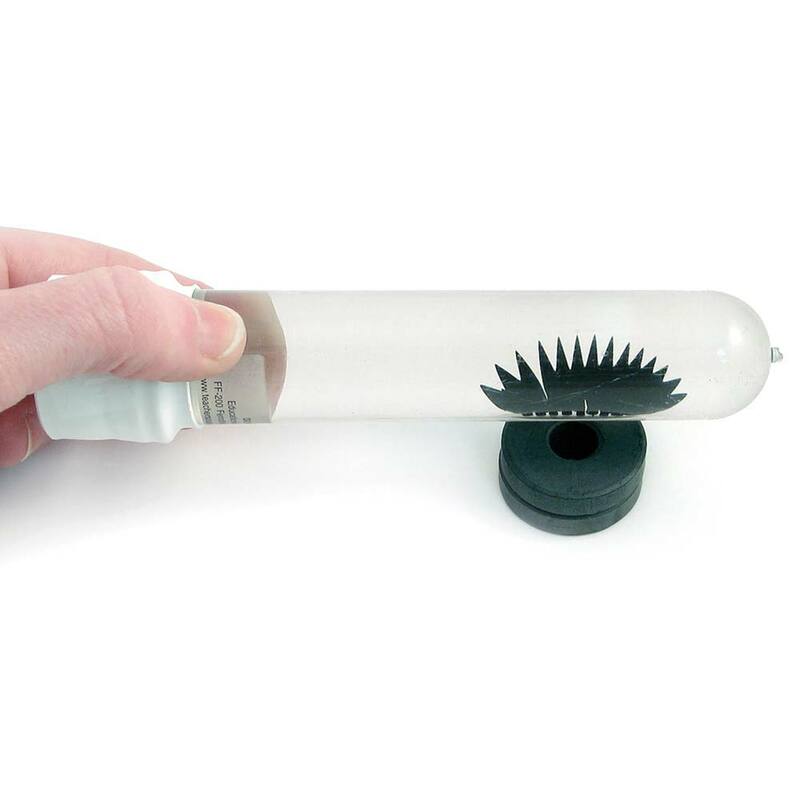 Students can use the Ferrofluid Display Cell to develop a model to describe a phenomenon. This sealed container helps younger learners and prevents a mess, as they discover magnetic properties.